What Would a Caveman Do? In my opinion you’ve got to consider your body from a different perspective than you have been. It’s all about protecting our bodies for a very long life. It’s not about overworking them. It’s not about wearing them out. It’s not about high impact exercise and forcing our bodies to do things they weren’t meant to do. I can’t say that I’ve stuck to this concept during my lifetime, but I’m asking you to follow my line of thought. I’m asking my kids in particular to listen, because at this time in my life I care more about their future happiness than I do my own. When I was given my children, I was given that Faberge egg; that finest of things I could hold in my hands. But unlike the Faberge egg, these lovely possessions of mine have a mind of their own. They get to make choices about what they want to do with their minds and their bodies. But I can try my best to give them the tools they need to maintain their shine and value. And I want to share some of that with you, my reader. Protection of that beautiful packaging you were born with, will be one of the most important things you can do to ensure happiness into and through your “golden years” (if ever there was a description more inappropriately used, it was this one). There are a couple of important concepts and the sooner you understand these concepts, the more quickly you will come to understand what I’m talking about and the sooner you will start to be able to make your own decisions regarding the way you deal with your body; not only your musculoskeletal system, but your whole body and mind. 1: The human in the form of homo sapiens, has really not evolved in about a hundred thousand years. 2: Our bodies weren’t put together to last much past the age of about 25. I don’t know how I decided that these two concepts were of key importance in telling you how to protect your bodies from the ravages of age. Maybe it was through reading. Maybe it started in college when I was taking comparative anatomy. Maybe it has to do with my own physical experiences and those of my patients. But as I try to impart my knowledge to you, I will remind you of those concepts and ask you to think about what a caveman would do. What would a caveman do? Maybe that will be our mantra. Homo sapiens (that’s us), pretty much stopped evolving once we became intelligent. So I can’t sit here and say that we stopped evolving 100,000 years ago, or 125,000 years ago. But whenever we became smart enough to start modifying our environment, we stopped evolving. Evolution is a process by which the species improves its ability to survive and reproduce. The function and the appearance of the organism changes so that they are better equipped to thrive in a given environment. In the natural world, this is an ongoing process. But once humans began to be able to modify the environment to compensate for our weaknesses, evolution essentially came to a standstill. We are no longer improving and in fact, as a species, we might even be devolving. Let me give a simple example. Let’s talk about the anterior cruciate ligament. That’s something that’s dear to my heart, not just because I do bunches of operations on folks who have torn their ACLs, but because I have torn mine and I’ve had three other close blood relatives who have torn theirs. That means that my family is pre-disposed to tearing their ACLs and I have likely passed on the crummy ACL gene to my children. And if each of my kids has two kids and their kids have two kids…you do the math, mainly because I can’t. But no potential spouse is going to count my kids out as a result of some theoretical potential to tear their ACLs or have kids with weak ACLs. However, if we were cavemen and living closer to a time when reproducing adults selected potential mates based on the appearance of vitality, the ability to get food and the ability to care for their offspring in the natural world, then a limping cave girl/boy would be rejected, just like a limping mare will be rejected by the stallion or vice versa. That lameness, no matter what the cause, would be naturally rejected as a potential weakness and over time, the knee ligaments of the human species would have improved rather than worsened, because we humans, as a species, have got to have some of the crummiest pieces of crap for knee ligaments and cartilages in the world of animals. We learned how to modify our environment to keep from hurting our knees. We learned how to compensate for weak knees by being charming and having more things to entice potential mates other than the strength of our knees and bodies. And finally we learned how to do surgery on knees. As a species, our knee ligaments will NEVER get any better and in fact our predisposition to knee cartilage and ligament injuries will only get worse with the decades as people with bad knees get together and have babies with doubly bad knees! I really want you to understand this concept because it is essential to understanding the way we are and why we have pain and disease. Hope you followed me and hope you see the correlation to human knee ligaments…and for a lot of things for that matter; like hypertension, diabetes, and a funny shape to the bones of our shoulders which predisposes us to having problems with our rotator cuffs (I’ll talk about that later). I love youth sports. The benefits are many: fitness, social skills, competitive outlet, self esteem, life lessons. I have four very active children who I have been blessed to coach over the last 15 years. In fact I am currently coaching my 27th season of youth sports. I love every part of coaching the kids. However one aspect that can be tricky is the parents. Parents who have unrealistic expectations or exaggerated opinions of their child's abilities can ruin the purpose of youth sports. Isn't PLAYING a sport supposed to be fun? That's always my goal: SAFE and FUN! I want my players to continue to play for many seasons and to establish fitness as one of their lifelong habits. 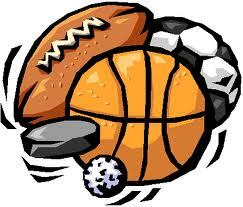 Many children stop playing sports before the age of fourteen. They frequently site harsh words and negative input from parents and other family as the reason for stopping. It is all about perspective. In my opinion sports for the vast majority of participants are a fun outlet to test their physical boundaries and develop self esteem. Continual berating and pushing by parents will diminish the benefits from sports. Asking "did you win?" places importance on winning when that is rarely the kids top goal. Psychologist have a term for the parent in the crowd that berates coaches, players, parents and officials: Little League Parent Syndrome. These parents are living through their child's athletic performance. They feel their child's needs are greater than all others. Instead of focusing on fun and assisting their child's performance, these parents focus on winning at all cost. This all too frequently results in diminished fun. Parents need to remember the purpose of sport is not to get a scholarship. It is to have fun, be healthy and develop life skills. Forty-three percent of patients scheduled to undergo orthopaedic surgery have insufficient levels of vitamin D and two out of five of those patients had levels low enough to place them at risk for metabolic bone disease, according to a study published this month in the October 6th issue of the Journal of Bone and Joint Surgery (JBJS). 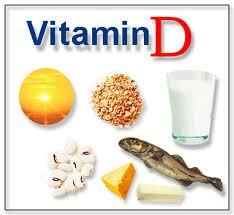 • 110 (15 percent) were vitamin D deficient. “Patients who are planning to undergo any orthopaedic procedure can request a screening (specifically, a blood test called the 25 hydroxy Vitamin D test) or ask to be placed on a medically supervised Vitamin D supplement regimen prior to surgery,” said Dr. Lane. How much Vitamin D is enough? The American Academy of Orthopaedic Surgeons (AAOS) and recent research support that the body needs at least 1000 IU per day for good health — depending on age, weight, and growth. Indeed, many people need much more than 1000 IU to keep Vitamin D levels in a good range. Here’s the story of two fictitious young men. They are not actually my patients, but I see these two scenarios played out over and over in my practice. These are two teens, both of whom tore their anterior cruciate ligaments. Hank asks for no pain pills following his injury, even though they were offered. He thinks he’ll do fine on Tylenol. Following the MRI, which confirmed the presence of an ACL tear, he wants to make plans for surgery as soon as possible. He’s in high school and knows he’ll probably have to miss a couple of days. He asks if it’s possible to get a handicap parking permit. That way he’ll be able to park a little closer to his school. He asks if the doctor can estimate when he’ll be able to go back to school so he can make arrangements with his teachers. He has his surgery and is encouraged to go ahead and take his pain pills as needed, but after a couple of days he discontinues them and takes Tylenol instead. He doesn’t like the way the pills make him feel and he can’t study while he’s on them. He goes back to classes even before his sutures are out. He quickly regains his muscle strength and range of motion and within a few weeks has stopped using crutches. After his injury Alex got a bottle of narcotic pain pills from the emergency room. He’s been taking them every 4-6 hours, just like the directions on the bottle. They don’t really work that well anyway. Following the MRI, which confirmed the presence of an ACL tear, he wants to make plans to have surgery. He’s a freshman in college and so he’s going to let his parents know that he’s going to have to take off the rest of the semester and needs a note to take to the registrar’s office. His knee is killing him even before surgery so he figures it’s going to be even worse afterward. He has very little swelling but is having difficulty moving his knee. At the end of the visit he reminds the doctor that he will probably need another prescription for pain pills. He’s not out yet but he doesn’t want to get caught over the weekend without them and so he may as well stock up ahead of time. And he reminds the doctor that the Vicodin is not even touching the pain, so could the doctor make sure he gives him something stronger. After surgery, he struggles with his rehabilitation. He takes the stronger pain pills every 4-6 hours, like it says on the bottle. He takes them before he goes to physical therapy so that he can tolerate it. He takes two before bed at night, just to be able to sleep. Sometimes he takes another one if he wakes up in the middle of the night. Six weeks after the surgery he is still requesting pain pills weekly and the doctor has to start a program of weaning him off the pills. The doctor gets a call from the pharmacy saying that Alex is also getting pain pills from his primary care physician. Hank and Alex represent the whole spectrum of responses to pain. Alex isn’t a bad person. He’s not taking illegal drugs. He’s not selling drugs. Hank and Alex just respond differently to pain. But sometimes patients like Alex get into serious trouble taking prescription narcotics without even recognizing that there is a potential problem. Physicians don’t want to see patients suffer. So they’re reluctant to deny the pain pills when the patient is complaining. This can inadvertently lead to a pattern of prescribing narcotics that eventually contributes to addiction. Then drug seeking behaviors develop, which can last a lifetime. 1) Use narcotic pain pills only when absolutely necessary. 2) Use them sparingly and not necessarily “as directed” on the bottle. 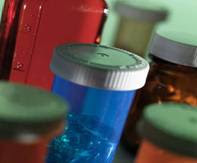 It’s not like taking an anti-biotic, which must be taken at regular intervals around the clock in order be effective. Take them less if possible. The prescription dose of a medication that is prescribed “as needed” means that you can take them less if a smaller dose works sufficiently. 3) Have a healthy respect for prescription narcotics. They are not benign medications.